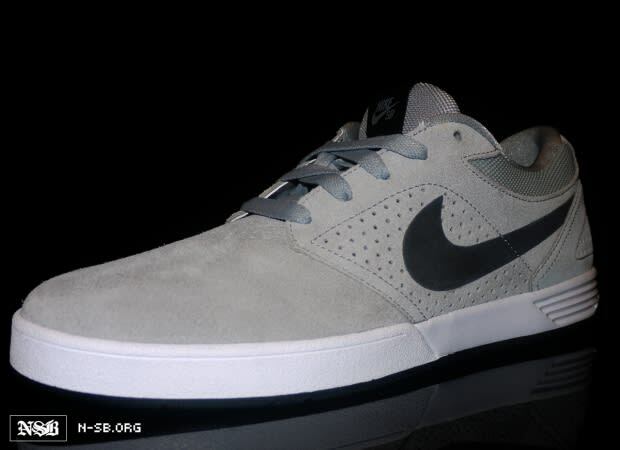 Nike SB Paul Rodriguez 5 "Matte Silver"
With each released silhouette, P-Rod&apos;s signature kicks from Nike SB continue to one-up themselves. And with the fifth edition set to drop in August, we can surely expect a flurry of fresh schemes and colorways. The fifth incarnation is slimmed down to V-Rod proportions, and switches over to the Lunarlon cushioning which made its SB debut in the Eric Koston 1. Prepped to be a part of his Spring 2012 collection is this "Matte Silver" go which features a suede upper mixed with mesh lining. Better be on the lookout for these.